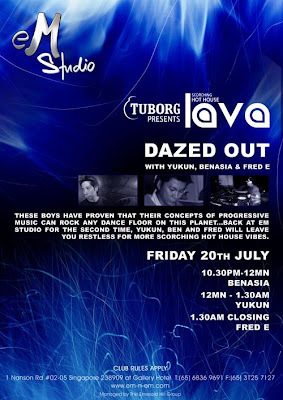 Email Yukun for guestlist before 20 Friday 2007. After the crazy one last month that even had people shuffling to our closing song, which was a bootleg of The Police vs Snow Patrol, eM Studio's monthly trance outing is back once again to tease your senses with even more quality trance. This is about you, your good friends, awesome music and a generally unforgettable vibe.